Vernon had a very successful 100th anniversary last year, they held a grand event that included prominent members of the community and showed off the clubs heritage and success over its many years. They had record numbers for their annual Funtastic tournament centered around Canada Day and carried out a number of public events in conjunction with the Canada 150 celebrations and the Participaction play list. Vernon is always willing to host the ILBA spring and fall meetings as their club in the most central in the Interior. Under the exuberance of a few of their members, the Interior will see their regional tournaments started up again after a number of years in hiatus. 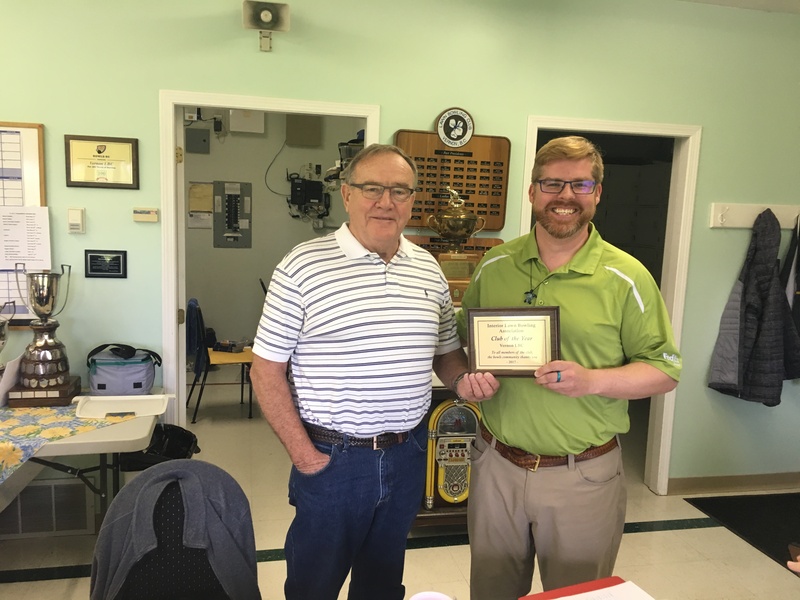 This is a photo of Nick Stevenson, the President of Vernon Lawn Bowling club, accepting the Club of the Year for the Interior 2017.